the rise of nationalism and what to do about it. This Science Salon was recorded on February 1, 2019. We apologize for the quality of this recording; it was recorded before Michael moved to the new recording studio. We still have a couple episodes to release from the old studio. Quality of subsequent episodes will be better. 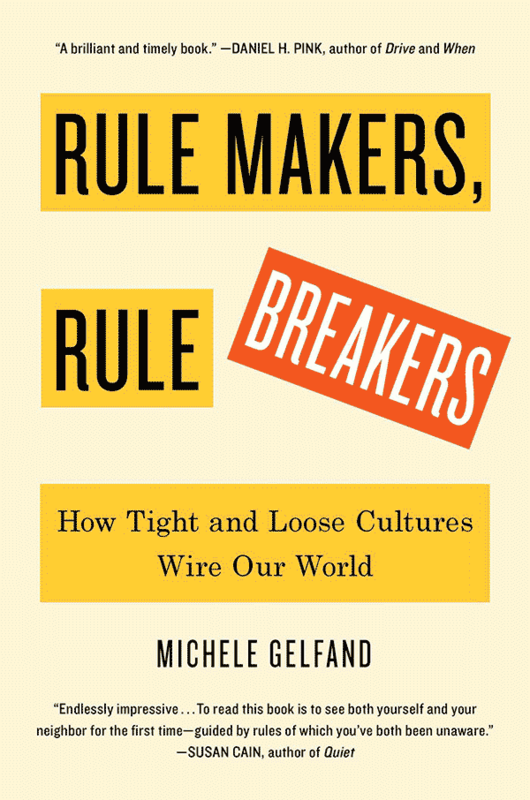 In this wide-ranging conversation Dr. Shermer talks with the author of the new book, Rule Makers, Rule Breakers: How Tight and Loose Cultures Wire Our World, Dr. Michele Gelfand, Distinguished University Professor of Psychology at the University of Maryland, College Park. Her pioneering research into cultural norms has been cited thousands of times in the press, including the New York Times, Washington Post, Harvard Business Review, and Science, and on NPR. As a cultural psychologist, Dr. Gelfand takes us on an epic journey through human cultures, offering a startling new view of the world and ourselves. With a mix of brilliantly conceived studies and surprising on-the-ground discoveries, she shows that much of the diversity in the way we think and act derives from a key difference—how tightly or loosely we adhere to social norms. Alan Fiske’s Relational Models theory and how that relates to tightness-looseness. This Science Salon was recorded on February 13, 2019. In this discussion with the author of the newly published book Midnight in Chernobyl: The Untold Story of the World’s Greatest Nuclear Disaster, Adam Higginbotham tells what really happened at Chernobyl, by far the worst nuclear disaster in history, and why it took so long to discover what really happened. Human error and technological design flaws in the reactor are only proximate explanations for the core meltdown and explosion. The ultimate explanation is to be found in Soviet secrecy and lies. The book reads like an adventure novel, but it’s a richly researched non-fiction work by a brilliant storyteller. Don’t wait for the motion picture based on the book, which is years down the line. 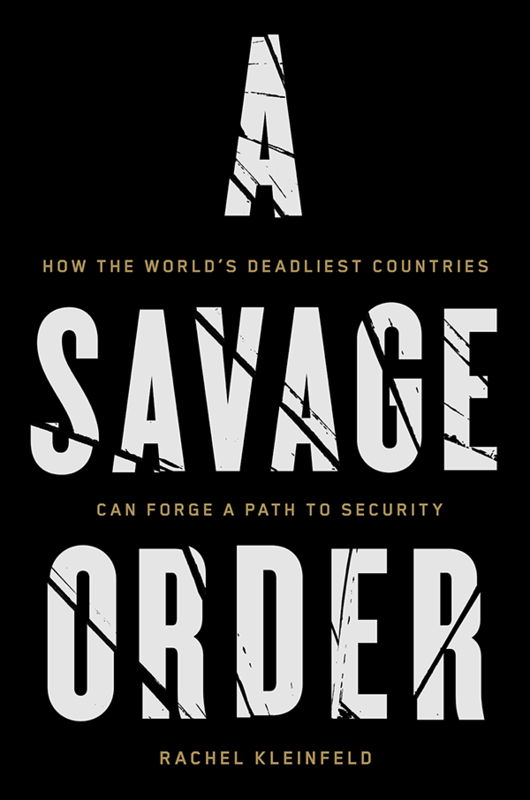 Get and read this gripping account to understand why people are still so afraid of nuclear power. Adam Higginbotham was born in England in 1968. His narrative non-fiction and feature writing has appeared in magazines including GQ, The New Yorker and the The New York Times magazine. He is the author of A Thousand Pounds of Dynamite, named one of Amazon’s Best Books of 2014 and optioned as a film by Warner Brothers. 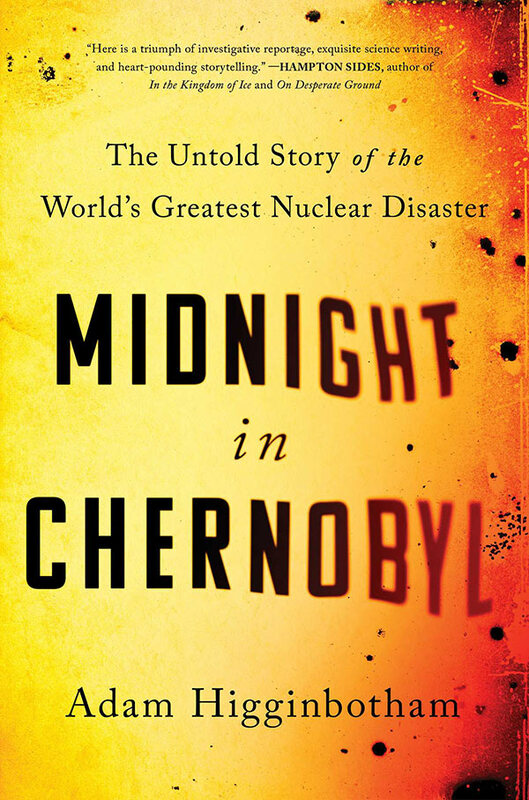 He recently completed Midnight In Chernobyl: The Untold Story of the World’s Greatest Nuclear Disaster, which will be published in the US by Simon & Schuster on February 12th 2019. The former US correspondent for The Sunday Telegraph magazine and editor-in-chief of The Face, he lives with his family in New York City. This Science Salon was recorded on February 5, 2019. In this wide-ranging dialogue Michael Shermer and Gregg Hurwitz discuss being a public intellectual, how to convey ideas through fiction vs. nonfiction, the role of myths and archetypes in narrative stories, Jordan Peterson and religion, Shakespeare and tragedy, the role of life experience and suffering in the development of a successful novelist, screenwriter, or filmmaker, the role of narrative in politics, especially the 2016 election in which Trump’s narrative was surprisingly compelling to tens of millions of people, even over other highly qualified conservative candidates in the primary election campaign, and what democrats needs to do to recapture the White House in 2020. 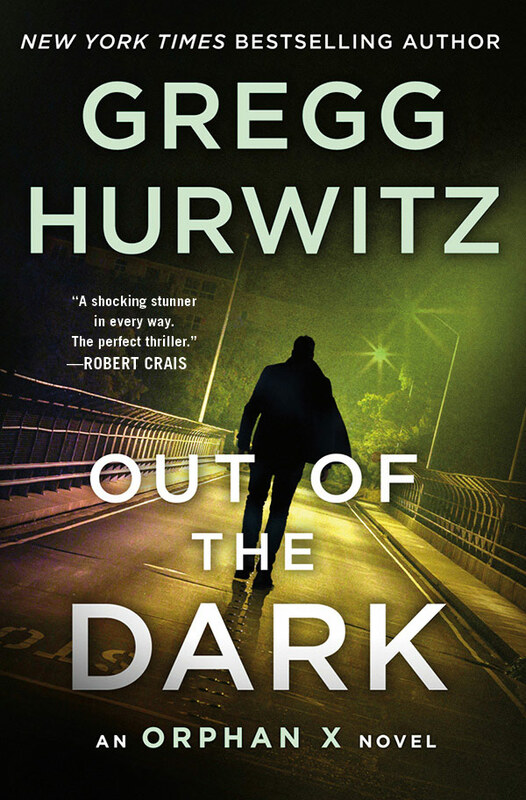 Gregg Hurwitz is the New York Times #1 international bestselling author of 20 thrillers, including his latest novel Out of the Dark. His novels have won numerous literary awards, graced top ten lists, and have been published in 30 languages. He has also written screenplays for or sold spec scripts to many of the major studios, and written, developed, and produced television scripts for various networks. He is also a New York Times bestselling comic book writer, having penned stories for Marvel (Wolverine, Punisher) and DC (Batman, Penguin). He has published numerous academic articles on Shakespeare, taught fiction writing in the USC English Department, and guest lectured for UCLA and Harvard. He earned a BA from Harvard where Jordan Peterson was his thesis advisor, and a Master’s from Trinity College Oxford where he studied Shakespearean tragedy. This Science Salon was recorded on January 23, 2019. Dr. Shermer is asked this question in nearly every public appearance he makes, along with regular emails and social media queries he receives. At a November 2018 public event with Richard Dawkins, in the Q&A, he and Shermer received no less than four questions about Jordan Peterson, even though Jordan was not the topic of the dialogue between Dawkins and Shermer. Watch that edited clip reel from that dialogue. Clearly there is much interest in Jordan Peterson and the phenomenon surrounding him, so Dr. Shermer thought he would issue his opinion in the form of an essay he penned for Skeptic magazine 23.3: “Have Archetype — Will Travel: The Jordan Peterson Phenomenon”. Purchase back issue 23.3 online. In Science Salon AMA # 3, Dr. Shermer offers a brief summary of his current opinion of Peterson and then reads his essay: “Have Archetype — Will Travel: The Jordan Peterson Phenomenon”. Watch previous episodes of AMA. Listen to Science Salon Podcasts and AMAs via iTunes, Spotify, Google Play Music, Stitcher, iHeartRadio, TuneIn, and Soundcloud. 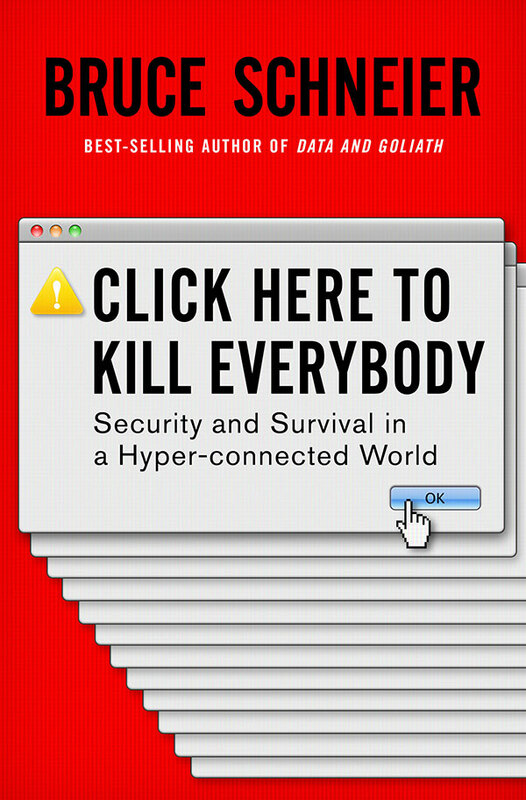 In his second Ask Me Anything, recorded on the final day of 2018, Dr. Shermer reviews the latest issue of Skeptic magazine, introduces upcoming podcast guests Rachel Kleinfeld (A Savage Order: How the World’s Deadliest Countries Can Forge a Path to Security), Bruce Schneier (Click Here to Kill Everybody: Security and Survival in a Hyper-Connected World), Mark W. Moffett (The Human Swarm: How Our Societies Arise, Thrive, and Fall), and Jared Diamond (Upheaval: Turning Points for Nations in Crisis). Dr. Shermer also discusses his book publishing plans for 2019, including an essay collection of his last 70 Scientific American columns, which he is sad to report is coming to an end with the January 2019 issue of that august magazine, along with that of other popular contributors, such as the popular tech columnist David Pogue. Dr. Shermer reflects on his 18 years and reads aloud the final column, titled “Stein’s Law and Science’s Mission”. If you missed AMA # 1, you can listen to it now. If you have a question you’d like to ask Michael, please email it to us and we’ll try to get it into the next AMA. In this wide-ranging dialogue Michael Shermer talks to Martin Rees about: his early education and how he got interested in astronomy and cosmology • how the Big Bang theory won out over the Steady State theory • origin of life, SETI, and the search for a second genesis • Fermi Paradox (if life is abundant in the universe…where is everyone?) • space exploration (human or robotic or both?) • future of humanity as sentient A.I. (to the stars…inside computers!) • limits of scientific knowledge (are we nearing the “end of science”? No says Dr. Rees!) • threats and challenges facing humanity (nuclear weapons, climate change, overpopulation, sustainable energy sources, artificial intelligence, income inequality, political instability, and others) • role of religion in modern society (why Dr. Rees is an atheist but not a “new atheist”) • do we need to replace religion with a secular equivalent? Sir Martin Rees is a leading astrophysicist as well as a senior figure in UK science and a public intellectual in England and America. He has conducted influential theoretical work on subjects as diverse as black hole formation and extragalactic radio sources, and in the 1960s his research provided key evidence to contradict the Steady State theory of the evolution of the Universe. Dr. Rees was also one of the first to predict the uneven distribution of matter in the Universe, and proposed observational tests to determine the clustering of stars and galaxies. Much of his most valuable research has focused on the end of the so-called cosmic dark ages —a period shortly after the Big Bang when the Universe was as yet without light sources. 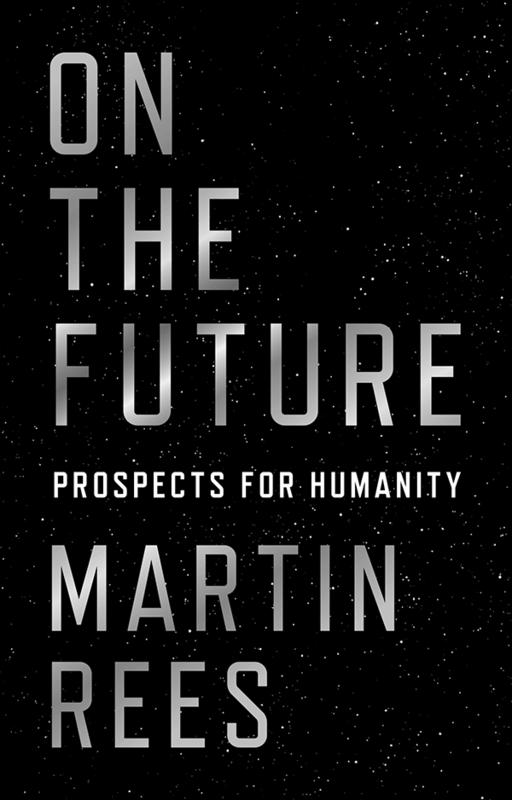 As Astronomer Royal and a Past President of the Royal Society, Martin is a prominent scientific spokesperson and the author of seven books of popular science. After receiving a knighthood in 1992 for his services to science, he was elevated to the title of Baron Rees of Ludlow in 2005. 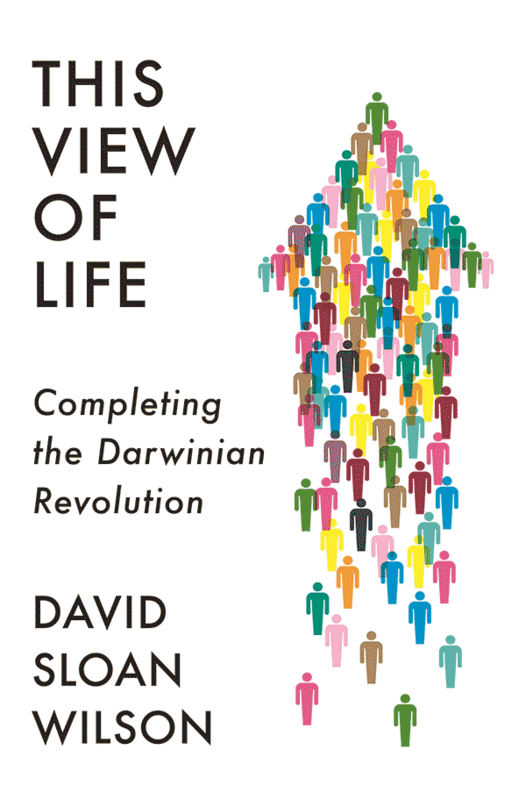 His latest book is On the Future: Prospects for Humanity. His other books include: Before the Beginning: Our Universe and Others (1997) • Just Six Numbers: The Deep Forces That Shape the Universe (1999) • Our Cosmic Habitat (2001) • Our Final Hour: A Scientist’s Warning —How terror, error, and environmental disaster threaten humankind’s future in this century —on earth and beyond (2004) • What We Still Don’t Know (2009) • From Here to Infinity: Scientific Horizons (2011). This Science Salon was recorded on December 12, 2018.